People are fond of socializing: parties, business meetings, conferences, and seminars. And it is during these functions that a person feels an intense pressure to fit it with the crowd. If people drink, chances are, you would also have to drink. If a majority of the people in the group smoke, there is a big likelihood that those few who don't smoke choose to learn to smoke so that they can mingle with those who do. Smoking is a nasty habit to get started on. Thanks to its nicotine content, cigarettes can be highly addictive like other narcotics such as cocaine or heroin. The nicotine tends to hit the central nervous system by giving it a fleeting feeling of calm. Like other narcotics, the body easily gets used to the nicotine, and pretty soon it will be craving for more. It is then that people understand that the smoking habit has got them hook, line, and sinker. 1. Prepare yourself for the battle you’re about to face. Admit it. Your biggest opponent here is your self - your will and determination to say no to cigarettes. Psyche yourself up, think only of positive thoughts. Negativity will only make you lose your drive to quit easier. 2. Make a list. Jot down every reason you have in mind to want to quit smoking. List down all the positive effects quitting will bring you. Write down all the activities you can enjoy once you’ve let go of smoking. This gives you something to look forward to when you’ve finally achieved your goal. 4. Mark the date. Set the date when you will finally quit smoking. Make it sacred, let nothing or no one break it for you. It may help that you make the quitting date fall on a significant date to make the event something to look forward to. 6. Gradually cut back on the amount of cigarettes you light. 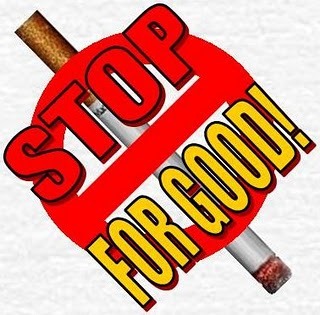 It doesn’t help to abruptly deprive yourself of the cigarette and nicotine intake that you’re body has gotten used to. Something as little as one stick every one or two weeks will help your body ease out of your usual nicotine fills.